Barbara Mandrell sang it in the '80's and I was it in the 70's. One of our LOAD prompts this week encouraged us to scrap about our favorite music growing up. For me it was country music. I didn't even know most of the popular songs my friends were fans of. I do remember liking Shawn Cassidy but that was more because he was cute than the actual music. I grew up listening to country music and still do. 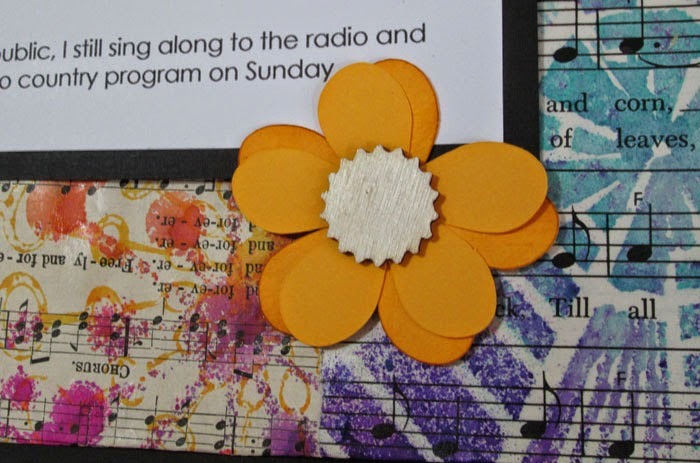 For this no photo page, I used music paper from a hymnal and children's music book. The lyrics aren't important, just the music notes as a way to convey the theme. Lots of mists and stencils add some bright 70's colors. 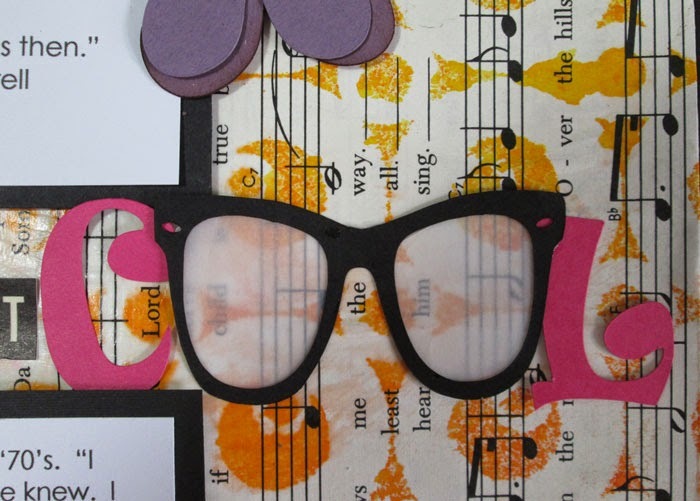 To create the word Cool, I downloaded a pair of glasses for the Silhouette and filled them in with vellum. 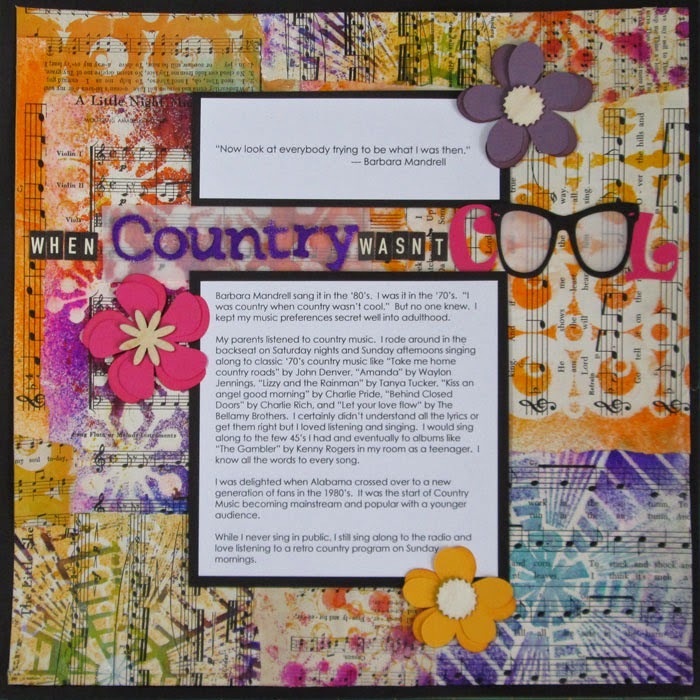 The page is more mixed media than traditional scrapbooking. I love that we can do so many fun things in this hobby. Try it. It's just glue, ink and paper! For more on No Photo pages or pages without the perfect photo, check out the e-book tab at the top of the screen. Lisa, this is a wonderful layout. Love the colors. Love those glasses, so cute.